Tramway is a small Japanese model railroad manufacturer with a small product line that includes trolleys and some detail items. 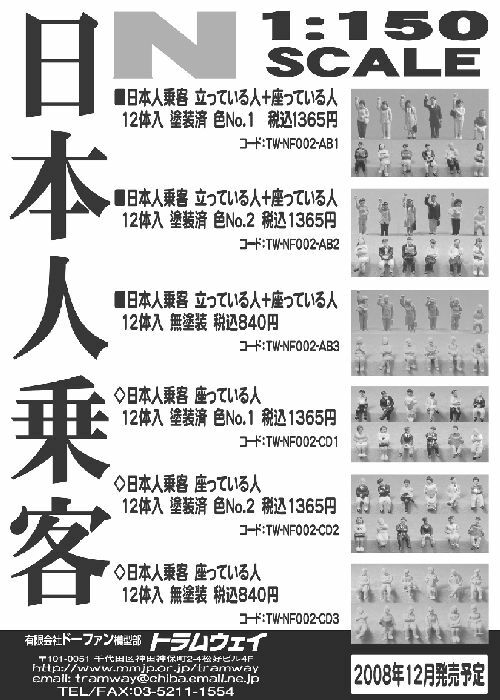 Tramway offers six plastic figure sets. Promotional image from Tramway; product images from Hobby Search. Although these sets are all still listed on Tramway's website, they're difficult to obtain.